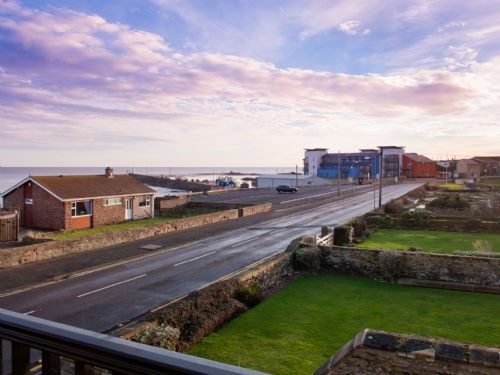 The upper south-eastern facing apartment in the prestigious Seafield Development on the sea front in Seahouses. 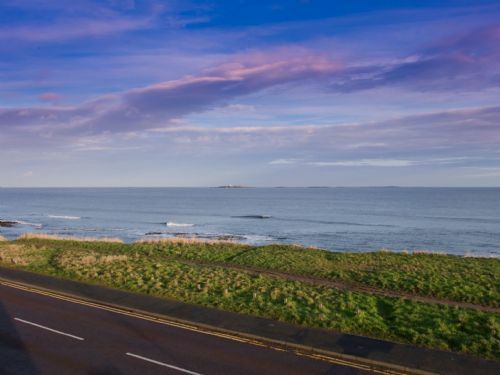 From the private sunny balcony off the lounge, with telescope to look at the stunning views out to sea, to Seahouses Harbour and directly to the Farne Islands. The dining kitchen, also with a small balcony to take advantage of the evening sun. It's location could not be bettered for those who wish to holiday in a property close to the village facilities with the added attraction of a fabulous view point from which to while away the hours watching the world go by. The apartment offers outstanding opportunities for walkers, birdwatchers, cyclists and those who wish explore this undiscovered county. The apartment comfortably sleeps up to 4 people in two bedrooms, each ensuite , both rooms having beds which will be set up as Super King Doubles, though either or both can be requested twins if preferred. The master bedroom also has sea views. An infant in travel cot can also be accommodated. The finish and decor of the apartment is of the highest quality, designed and implemented by the owners' daughter who is an interior designer. 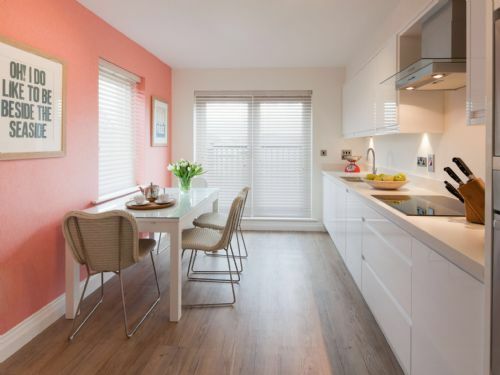 The colour scheme is bright and fresh incorporating modern hues of coral, jade blues and sands combined with muted tones, and driftwood styled flooring. Linens and towels are from "the White Company" and the owners, who have taken holidays in the area for many years themselves, have also provided some personal touches to make you welcome. Stunning views of the harbour together with those directly out to sea towards the Farne Islands from its lounge area and sunny balcony. The dining kitchen, also with a small balcony to take advantage of the evening sun, is well equipped and finished. 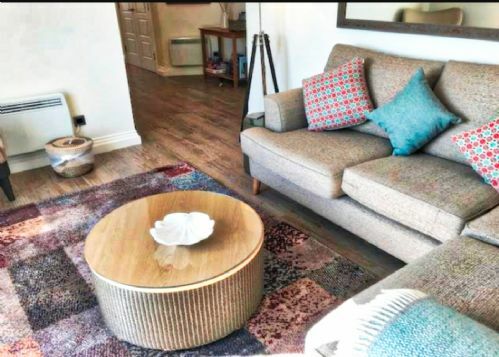 The apartment comfortably sleeps up to 4 people in two bedrooms, each ensuite (one with bath & shower over, one with shower), both rooms having beds which will be set up as Super King Doubles, though either or both can be requested twins if preferred. The master bedroom also has sea views. An infant in travel cot can also be accommodated. The finish and decor of the apartment is of the highest quality, designed and implemented by the owners' daughter who is an interior designer. 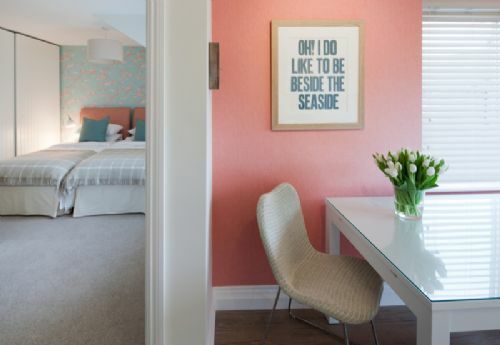 The colour scheme is bright and fresh incorporating modern hues of coral, jade blues and sands combined with muted tones, and driftwood styled flooring. 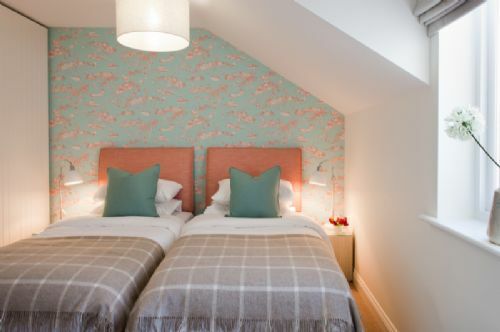 Linens and towels are from "the White Company" and the owners, who have holidayed in the area for many years themselves, have also provided some personal touches to make you welcome. full kitchen inventory available on request. 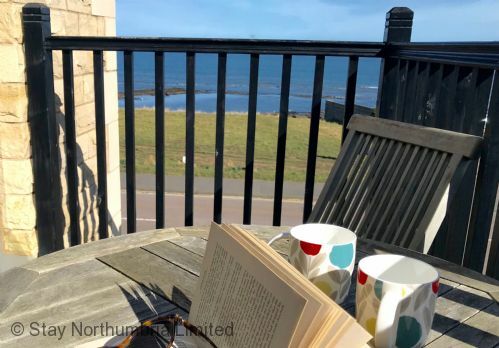 The property has two private balconies - one to the front overlooking the rocky shore (great for rock pooling with or without the kids) towards the Farne Islands, with views also over Seahouses Harbour, and one to the rear off the kitchen dining room, making the most of the all day sun. Netflix, viewable on smart TV - enables you to make a choice of films, TV programmes and shows over and above Freeview channels, plus you can bring your game station or lap top and plug in, therefore we do not provide a DVD player. Portside electric heating and hot water systems are supported by, but not soley supplied, by Solar panels. This property can be booked with Upper Deck which is next door for a further 4 people in one great location. Each apartment has been set up to enable 8 dining together. Children are welcomed at Portside, though be aware that this is a first floor apartment with a balcony deck. Short breaks available 1st November to Easter (excluding school holidays, Christmas & New Year), breaks at other times of the year may become available if dates remain unlet within 30 days of arrival. Even on a grey day in early December there's something spectacular to see from the full height windows in the Portside lounge…..
At least out 6th Visit to this fabulous apartment - love the new sofa! We have enjoyed a fabulous Christmas at your beautiful apartment. Each day has been remarkably dry, sunny and warm! So plenty of walks on the great beaches with our dog Georgie - he was welcomed at The Ship Inn at Low Lewton by the sea and The Jolly Fisherman at Craster. Thank you for the little Christmas touches - a decorated tree, crackers and mince pies! Portside is certainly one of the best holiday apartments we have stayed in! Hopefully we will return! We have had a lovely weekend in the beautiful apartment. We enjoyed the great view. Joe our dog has enjoyed the long beach walks. Sixth visit to this lovely apartment, in a beautiful location, great views, weather was kind. Liking the new sofa! Thank you for the gifts, hope to be back next year. What an utterly superb apartment. Beautiful location, with lots to do and see. Prime position with access to a beautiful spa. We have felt completely at home here from the moment we arrived. 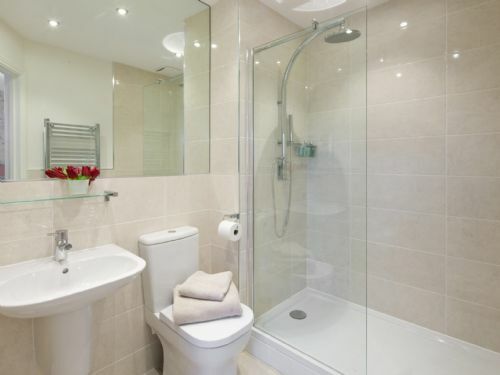 Stay Northumbria certainly have an eye for the fine details.. beautifully furnished and equipped to the highest standard. Warm and comfortable, everything placed for ease. Clear instructions on arrival and a lovely entrance hall. Safe, private parking with even the added luxury of outside storage for fishing rods! Loved the basket of information on the hall stand, what a fabulous idea! Everyday was planned from our findings. Premium storage and spotlessly clean, we cannot fault a thing. Once again another superb stay! An excellent apartment - wonderful views and great facilities. We will see you next year! A lovely, peaceful weekend in a nice well-maintained apartment with everything you could possibly need. Had the most wonderful week in beautiful Northumberland. Apartment was fantastic, so well equipped, very cosy and comfortable - in a fab location! We had a great holiday and we will most certainly be back! Lovely apartment, lovely location. Weather was great. 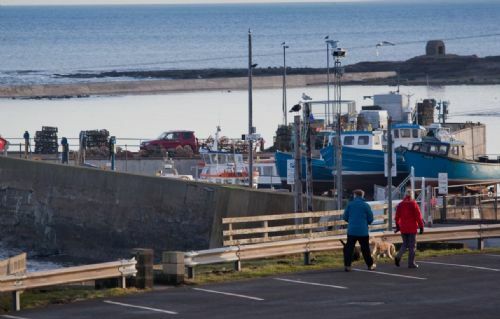 Walks to Bamburgh and Beadnell. Again a lovely stay in Northumberland in your great apartment. Thank you. Second visit to this wonderful apartment - every bit as good as our previous visit! Hope to see Portside and Seahouses again very soon. Once again a fantastic stay in this superb apartment! Second stay here and it did not disappoint. Views, location and amazing fish and chips down the road! We've had a lovely stay here - birdwatching from the window and shore. So handy for shops and walking. Boat trips fantastic around the Farne Islands - just caught the end of the Puffin season! 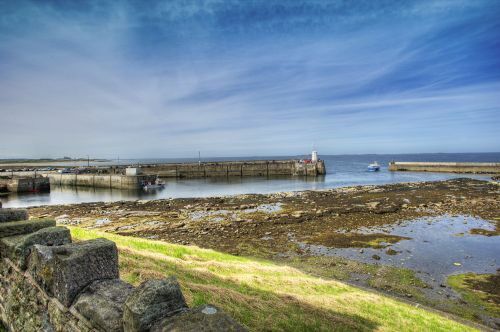 We love Northumberland and now think we have found our base for the future - Seahouses. ​The apartment is excellent and well equipped and in a beautiful location - over looking the sea and the harbour. Have enjoyed a restful break and we will return! 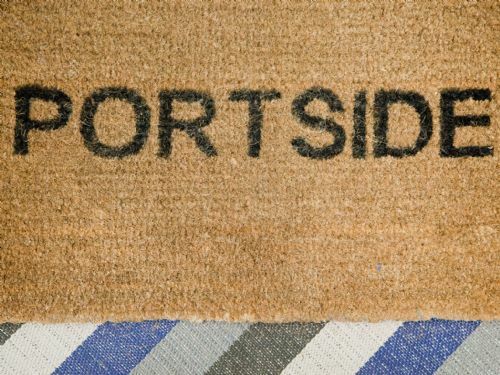 Really enjoyed our stay at Portside. Northumberland is a magical place and I hope that we can return for another 25 years! A wonderful view and superb apartment with everything we needed and more. We have really enjoyed our week here - castles, sunsets, walking, paddling.. Thank you! 1st time in Northumberland, we had a great time with visits to Alnwick Castle, Bamburgh Castle and a boat trip to the Farne Islands. 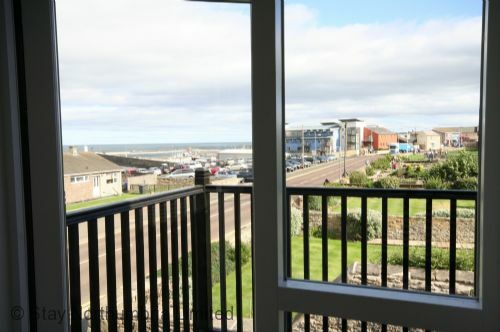 Great apartment and lovely views of the sea and harbour. Would definitely come again. Back again for an early break and as usual the cottage is perfect. Weather was changeable but in this beautiful part of Northumberland we don't care if it rains sometimes! We'll be back again in August. Enjoyed our 4th visit to Portside and look forward to our next visit! Thank you. Pre-Easter stay and Portside proved the perfect place to relax. Portside proved a welcome haven in the weekend gale force winds and snow, but spring weather made up for it during the week. Thank you for this luxurious, well equipped and comfortable apartment. Wonderful Christmas. Portside has it all. Thank you for a fabulous stay. See you again soon. Happy New Year! Amazing sunny weather and despite cold winds we enjoyed fabulous walks in this beautiful area! We ate really good meals at The Joiners Arms in Newton by the Sea! Another great stay in this lovely apartment - the generally good weather was a bonus! Lots of beach walks and fish and chips at Lewis's. Had a lovely days out exploring Amble, Ford and Belford as well as Bamburgh and Beadnell (can recommend the dog friendly Craster Arms). Fantastic stay in a beautiful apartment. We even managed to make use of the balconies as the weather was so nice. Don't miss Paxton House and Alnwick Castle and Gardens - absolutely stunning! So lovely to come back to a cosy apartment at the end of each day. Another very relaxing, enjoyable week in your lovely apartment - have visited the usual places and everywhere we have eaten excellent (prices amazing, even for top class meals) yet to be disappointed! One of the extras to add to our recommendations, Topsy Turvy (we hope we've got this right) in Warkworth, lovely. Also pay a visit to Grays, wonderful place to pick up small gifts and treats, jewellery, scarves and bags. It was a great place to come in after one or two very windy and cool days to the cosy warm place. Another bonus for us not a long drive here. The car does not move after arrival until return. Good bus service, a little time needed to connect with walks. We will hopefully be returning once again next spring time. This is our forth visit to Portside. An excellent week with mostly sunny weather. We've walked the beaches and generally watched the world go by. Had a lovely lunch at the Joiners Arms at Newton by the Sea - the staff were pleasant and prices very reasonable. 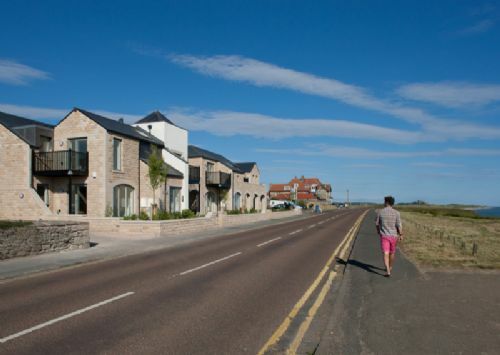 Love the apartment, Seahouses and the people. Hopefully we will be back in the Spring. Third stay here. An excellent week again. Went to Warkworth Castle, Howick hall gardens, Craster and walked to Dunstanburgh Castle. Great surfing at Bamburgh. Apartment as always - Excellent. We have been delighted with our stay at Portside. A lovely light, airy, comfortable place with everything we could ask for in way of equipment. I especially appreciated the luxurious bathrooms, the hair dryer and the toiletries! Our week at Seahouses has been fine, dry and warm. We've loved the beaches at Seahouses, Beadnell and Low Newton, and the trip out to the Farne Islands was calm, bright and sunny. Pinnacles fish and chips hit the spot for us and the Elan Pizzeria. The folk from the Methodist Church were especially friendly. Services on a Sunday at 10.45am and 6pm. Oh - and Coxon's is a must for a Knickerboker Glory!! Thank you Portside for a wonderful week! 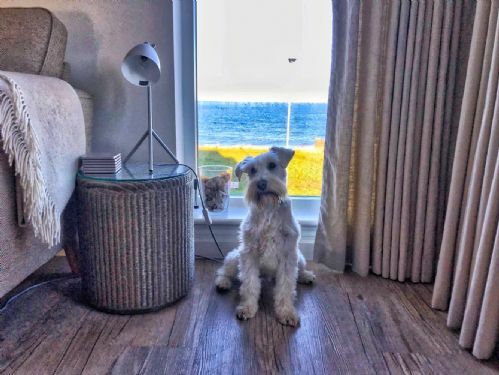 Our first stay, both in the apartment and on the Northumberland coasts, and enjoyed both immensely. Portside was everything we had hoped, spotless and such wonderful views! 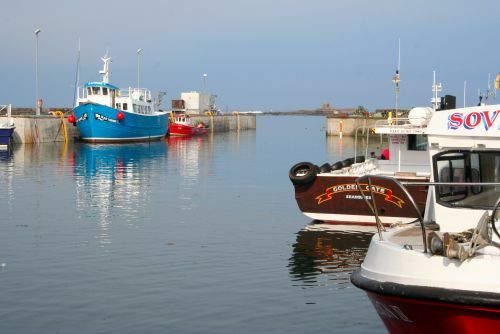 Seahouses is such a lovely place, with lots to see and do up and down the coast. We'll definitely be back! 10/10 !! This was our first stay in this apartment, but hopefully it won't be our last. Fantastic, clean, well equipped, it felt like home! 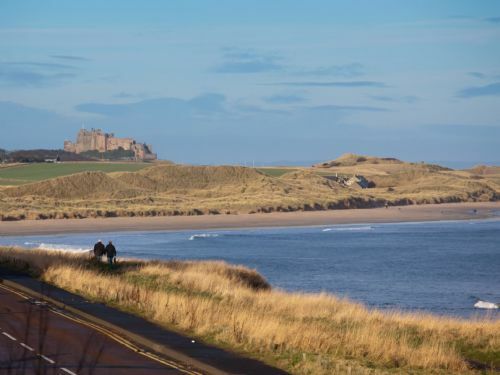 Weather amazing, highly recommend The Links, Bamburgh Castle Hotel, Lewis's Fish and Chips. My youngest had takeaway Pizza from King Kebab, he loved it! The pool on the complex is great, and the bacon and sausage baps from the Bakes were fab and great value. Second stay here, lots of lovely walking. We have greatly enjoyed our stay at 6 Seafield. Such a warm, welcoming apartment. We particularly loved the views over the sea and the ever changing skies! Although weather was mixed we have visited all the places of interest on our list... so much to see and do... a week is not enough! We have eaten twice at 'Elan', a really super Italian Bistro at the ond of town. Great food and excellent service. Thank you for making our stay, such a happy time! Here for just four days and I wish it were longer. Meal at the Potted Lobster in Bamburgh very good but very expensive! Joiners Arms in Newton by the Sea - very good and reasonable prices and very friendly. Also does take away Fish n Chips. Nice sandwiches from the Pantry in Bamburgh to take away. Our 2nd time here - what a great place and fantastic location. Did all the usual stuff - Farne Islands, Bamburgh Castle, Alnwick Castle, Crazy Golf, Rock Pools, Beaches.. Planned to go to Holy Island - but we were warned hat the castle is shut for renovation - we would still go to the island any ways! We have had a wonderful stay here. It is so central that everything is so close. It is a very peaceful area and although the weather wasn't the best it didn't interfere with getting out and about. The apartment is superb. You seem to have thought of everything, even down to supplying binoculars. Lovely stay and I would definitely stay again. We are writing this in the comfort of this lovely & well appointed apartment, overlooking dramatic seas through rain lashed windows, listening to the howling wind - perfect summer weather!! We have visited old haunts -Farne Islands, on a calm day - beautiful evening light at Bamburgh overlooking the castle. Visited the castle, Craster, walked the walls at Berwick and watched the surf and birds at Cocklawburn beach. We toured Paxton House and had a delicious lunch and afternoon tea in the very pleasant tearoom (worth a visit). We travelled to Duddo to find the stone circle, situated on a hill surrounded by an amazing panarama of countryside - visit but in dry weather! None of these experiences dampened our spirits & we would love to come back one day in the sunshine! We have really enjoyed our stay at Portside, a well appointed, comfortable, beautifully clean and perfectly located apartment! The weather and tides have been kind to us, perfect for some wonderful beach walks to Bamburgh, on Holy Island and Alnmouth. We have enjoyed being so close to the sea and the seabirds. Watching the baby eider ducks being looked after by their "aunties" was a real delight, and only just across the road! We look forward to returning to Portside. We thoroughly enjoyed our short break. We were glad to chill out after a busy family celebration. 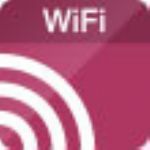 The apartment is light and airy and very well equipped. Very Scandinavian cooking. We enjoyed a lovely crab salad at The Jolly Fisherman in Craster. This was our second visit to the area and our first to Seahouses and the apartment. Masses of light, great layout, well equipped and still looking good as new. We loved all the different views from all the rooms - lots going on all around and never tired of watching the boats coming and going. Weather-wise, we had lovely springtime sun and two days of winter storms and always dramatic clouds and sea conditions. We do hope to come back soon! Our 4th stay in this fabulous apartment, and just arranging our 5th! Outstanding views and facilities, and spotlessly clean. Well.. We did say we'd be back! Another superb stay - see you in the summer! We have stayed in two of the Seafield Apartment before, number 2 and 10.. This is the best of all apartment. We have had a lovely, relaxing stay. Had some nice walks on the beach and will come back as soon as possible! A super return visit to this wonderful apartment. Will be back next year! Great apartment - super weather - lovely part of the world. We explored as much as time allowed. Sorry to be leaving. 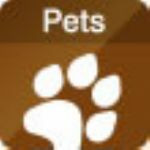 Thanks for help and information. Our second visit to these amazing apartments - a pleasure to be here. Every facility is here and Seahouses offers all that is needed to be comfortable. 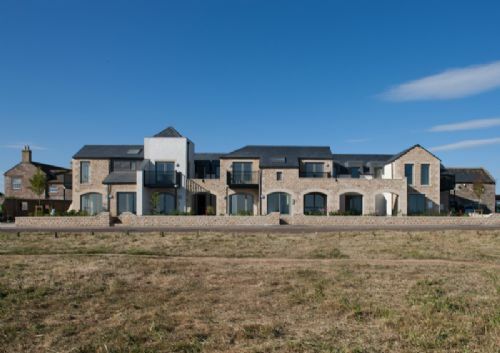 Our second visit to these amazing apartments, a pleasure to be here, every facility is here and Seahouses offers all that is needed to be comfortable. The surrounding area ia exciting and Holy Island visit a bonus. We shall return! Another wonderful stay in this superb apartment - excellent location and facilities. Will be returning soon! Had a wonderful week spent on the beach exploring the sand dunes. Beautiful apartment, loved sitting on the balcony watching the boats going in and out of the harbour. Back for our 2nd visit and enjoyed it as much as we did the first time - apartment still looking lovely. Didn't think we'd get to the Farne Islands because of the weather but had a glorious day. Only 2nd time this month that Staple Island has been open, so we were lucky. Even more terns and puffins that last year! We have thoroughly enjoyed our stay in this super apartment, so warm, comfortable with every convenience. We love this area and hope to come back. For the time of year we have had good weather, so we were very fortunate and it made our stay most enjoyable. A very enjoyable stay in a beautifully located and well equipped apartment. Battered by wind and rain for the whole of the stay, save for the morning we are leaving! The apartment has nonetheless provided a cost retreat after a soaking. Hope to visit again at another time of year and enjoy a whole new experience if the weather is better! Another lovely relaxing stay at Portside (3rd visit!). The apartment was lovely and cosy despite some howling gales outside! A wonderful apartment with great views. Will definitely return. Our first visit to the Northumberland coast, thank you for providing us with warm, comfortable and well equipped accommodation. Lots to see and do. Hope to return some day. Thanks again. Our first visit in Northumberland and so glad we chose Portside as our base from which to explore this beautiful part of England. The apartment is stylish, bright and oh so comfortable! We loved sitting on the balcony with a glass of wine and a good book, waking to the sound of waves crashing on the rocks across the road and breathing in that fresh sea air. I'm sure we will be back sometime. First stay in Portside and Northumberland. Wonderful sights - Bamburgh Castle awesome. Best apartment we've ever stayed in - no complaints at all. Hope to stay again. Thanks. A fantastic week - the first time in years sunny throughout. The apartment is amazingly well stocked with good china and crockery and sharpn safe knives! Loved all the rooms, beds comfortable and all slept well. Are looking to return. Thank you. We were thrilled with the accommodation and the location. Both surpassd our expectations. Had fabulous trip to the Farne Islands. All-in-all a lovely stay. A very enjoyable half-term week in a lovely, clean and well-equipped apartment. 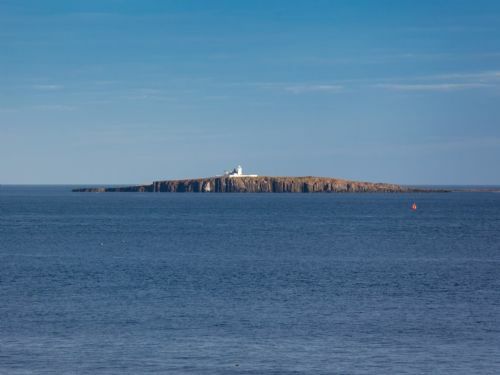 Fantastic views from the window out to the Farnes - which at this time of year is well worth a boat trip to visit! Loved the apartment and am sure we will be back! We have had a fabulous week - made extra special by the quality of the apartment, which was spotlessly clean, well equipped and its interior so in tune with its location that it felt like an extension of inside and out....and of course the weather - we have had sunshine the entire week. Felt at home and relaxed. Hopefully we wil be back. A beautiful and cosy apartment. Very clean and tidy and like a hotel. Spent many hours watching the sea. An excellent place and we will be back. Wonderful 2 weeks in a lovely apartment. What better way to spend Christmas and New Year. Weather so good and views of the blue sky and sea have been fantastic. Thank you. Could happily sit and watch the sea for days here! Such a lovely apartment and instantly felt at home! Will definitely book again and hope for some sunshine next time! Thanks. Once again we have enjoyed our week's stay in Seahouses. Well situated and equipped, couldn't have asked for anything more. Already booked of next June and November. Thank you. What a stunning apartment! Wonderfully well equipped and the most perfect views - really don't want to go home. We brought our 8 week old baby her for her first holiday as I have been visiting Seahouses since I was the same age. My wife and I stayed at the Viking apartments two years ago for our visit together and U will say that this apartment is the best place we have stayed by far! We will certainly be staying here again!! We have had a fantastic week staying here and have thoroughly enjoyed returning here each evening . We are already planning a return trip next year! A brilliant week - the weather was kind to us! Lovely views fform the apartment - we'd like to live here full time! Will be back. We had such a wonderful week here. The apartment is fabulous and the area stunning, if you get bored here then it's you, not the place. We look forward to returning in the not too distant future. Good luck with your invetsment, owners, it was well worth it! An amazing base. Gorgeous apartment and so well equipped. We loved it here. 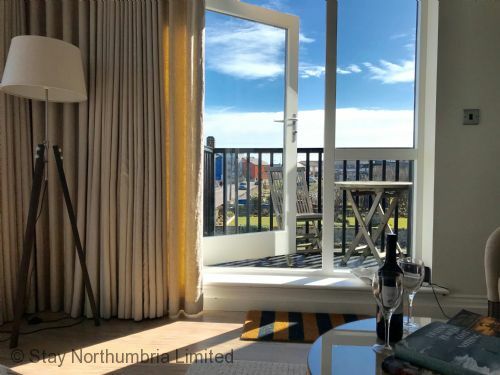 A great base for exploring what Northumbria and the Borders have to offer as well as just sitting on the balconies watching the sea and enjoying the sunshine. Beautifully situated, wonderfully decorated, brilliantly equipped. Couldn't have asked for more. Thank you. What a lovely base for our week here. We are now spoiled of anything else! Plenty to explore in the area and we haven't managed to do it all but we hope to be back. Kids have also greatly appreciated the Smart TVs! We have had a lovely week in your lovely apartment, which suited our needs perfectly! We have spent the week walking on the beach and visiting local attractions. Thank you. A lovely place to say, great apartment which provided everything we needed. Great views, thanks for the binoculars. Children loved watching the boats and checking the queue at Neptunes!. Thanks for a lovely apartment. A lovely apartment, modern and stylish, with everything you could need for your holiday. Great views from the balconies. A favourite area of ours so we spent the week visiting the surrounding towns and villages. Would be happy to come and stay here again next time we are coming to this area. Thanks. A lovely apartment and fab views. Loved the coast and walking. Would very much like to come back as soon as possible. A lovely place to stay. Well equipped apartment and great views. Enjoyed coming back to Northumberland after a very long time. A fab place to stay. The best equipped apartment we have ever stayed in. Loved the view and people watching from the balcony/lounge. Nice big TV ensured we enjoyed the World Cup - even whn England didn't do too well! We spent the week cycling and thoroughly enjoyed the quiet lanes and some stunning scenery. Also walked to Bamburgh Castle and back - thoroughly recommend this. Our first visit to Holy Island has been thoroughly enjoyable, everyone's so friendly. We will come again and if we base ourselves in Seahouses then Portside will be the place we stay. Great apartment in a fantastic location with stunning views, add in the amazing weather we have been lucky to have and we have had a perfect week. Thank you Northumberland! There is so much to do and see and things that we have done and places visited that we would love to do again so really hope to come back soon. Thank you for providing a great accommodation base to enjoy our holiday from, the secure outside store room was perfect for our bikes. Very impressive apartment - seem to have thought of just about everything. Certainly ranks very highly in comparison to other places we have stayed. Had a great week of weather, enabling us to enjoy walking and the local boat trip. If you could guarantee the weather we would return!! Simply marvellous! 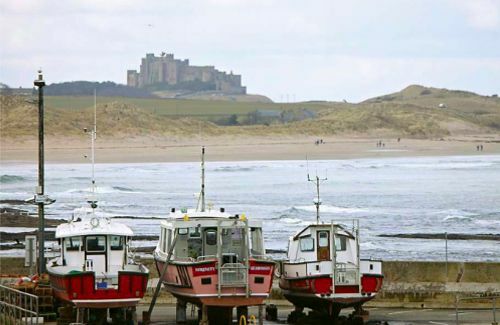 What a haven providing peace and quiet, extraordinary views and just a short distance to our favourite haunts Bamburgh, Lindisfarne, The Farne Islands, Craster, Dunstanburgh and Alnwick. Fabulous apartment, enjoyed our stay - totally swish! Thoroughly enjoyed our stay and will be telling all 'down under' about it. We've had a wonderful stay and even the weather has been kind to us. Love the apartment - every detail has been thought of and location can't be bettered. Can't wait to come back. 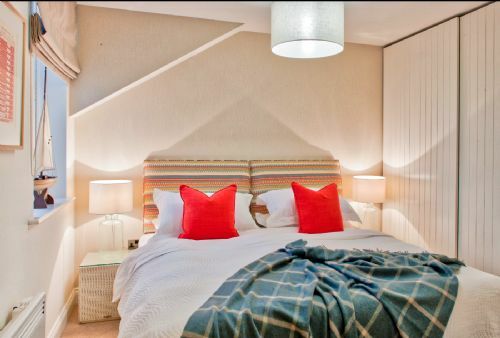 What a lovely flat - gorgeous views, amazing beds and beautifully fitted out. We don;t want to go home! Can't wait to come again! Fantastic apartment with lovely weather. Loved the roof terrace and views. Not enough time to enjoy all the space and facilities! (What good use of a roof space!). Amazing apartment - we needed longer to fully appreciate the great attention to detail - we'll be back. Great location and great coastal walks - a great "home from home" place - beautiful !! Guests returning to Portside for a 3rd or subsequent time, use your Loyalty Discount code to activate your 5% discount on breaks throughout the year, excluding Bank Holidays.